Are you tired of winter already? If so, don’t worry. Most of us are. With the long nights and chilly weather, the idea of revival may seem unachievable. But fear not: with these tips, you can refresh your home and – as an effect – enhance your mood. Follow these four pointers to bring new life to your living space. Colour can influence our mood hugely. Researching its psychological effects could help you pinpoint the perfect shade for each room of your house or apartment. To freshen up an indoor space to the full, a mint green or tranquil blue can be particularly on walls, carpets or other pieces of décor. Similarly, purple and metallic tones can add luxury and newness at the same time. For many, nothing says revival quite like a fabulous redesign, especially when it comes to our homes. Suitable storage is a good investment for various reasons. A spacious wardrobe, for example, is able to hold heavy loads of clothes and belongings and frees up space. And this, of course, removes clutter and opens up the space around it. Even something as simple as this could help you breathe new life into your home. To increase its interior benefits, décor specialists like Cotswold Co. can create items bespoke to your every need and preference. This could make revitalising where you live even easier. 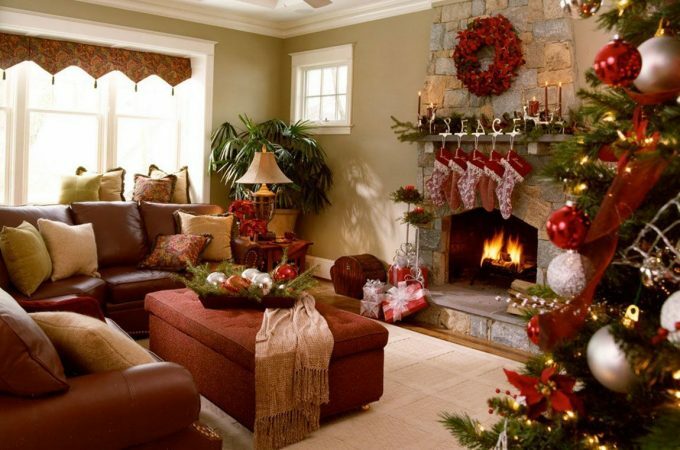 When it comes to decorating, who says that you should follow tradition? Does an upstairs room seem like a better space for a lounge than anywhere downstairs? If so, why not transfer its equipment up there? If it will provide more space and comfort for you and your guests, go for it. A rearrangement of furniture could be exactly what your home needs to appear refreshed. It can also produce a spatial balance and an airier feel throughout an indoor space. And when it comes to revitalising a home, a touch of calm can go a long way. Different kinds of décor can please us on multiple sensory levels. Candles elicit visual and aromatic pleasure, for example. They can even elicit different emotions from us. With this in mind, why not experiment with scent within your living area? So, why not experiment with scent and select a bouquet of flowers or plant to furnish your house or apartment with? Whether its lavender in the bedroom, cinnamon in the kitchen, or pine in the lounge, you can invigorate any room by bringing nature indoors. Thanks to these tips, you needn’t wait for winter’s end to feel reenergised. You can begin to brighten your mood right now. These simple changes your abode could help you to create a positive feel all year round.